International gaming operators are becoming increasingly interested in America’s online gambling market, and a $200m deal has welcomed one of the UK’s biggest sports betting firms into the country. Recently GVC Holdings (the owner of Ladbrokes and Coral) has entered into a joint venue with MGM, and the two companies will work together to provide players across the country with access to top-quality sports betting systems. 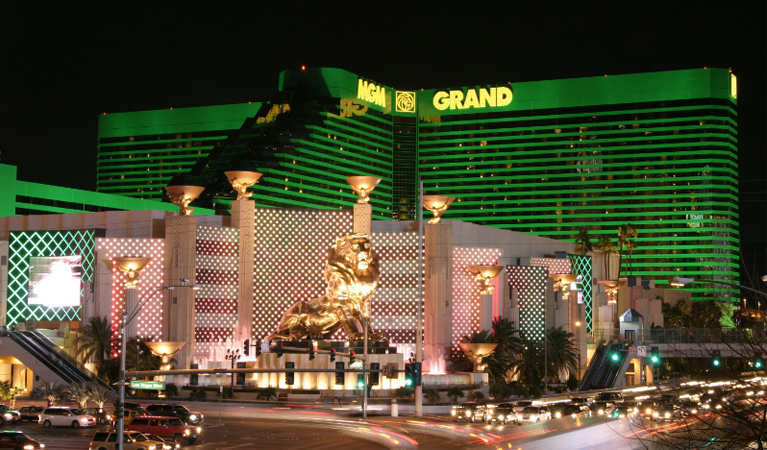 The new joint venture will see MGM and GVC come together to create a sports betting platform that will cater to American players. Now that the Professional and Amateur Sports Protection Act (PASPA) has been ruled unconstitutional, all states are able to offer sports betting to punters. More and more states are eager to open up their gaming markets, making this new joint venture a wise decision by MGM and GVC. Each company will contribute $100 million to the joint venture and the deal will include a 25 year commitment. An equal number of representatives from each company will be employed at a “major US technology hub”. After 10 years, there will be the option for one company to buy out the other. While the companies have yet to outline where the new joint venture will be based, it is likely that it will start in Nevada. Currently, it is the only state in America where sports betting is legal, but several other states are looking at opening up their markets, including New Jersey, Pennsylvania, Rhode Island, and Mississippi. For decades, punters across the country have eagerly been awaiting their chance to place wagers on their favourite sports teams, and the time has finally come. Since legalized sports betting has been such a long time coming, it is expect that the market will be a huge financial success. According to reports, sports betting in America could be worth $150 billion – which is 14 times as much as Americans spend on going to the movies and twice as much as they spend on caring for their pets. While this might seem like an inflated number, it is based on figures from the American Gaming Association. In 1999, the AGA estimated that Americans spent $80 billion on illegal sports betting. Now that the activity has been made legal, it is likely that more players will come forward to place wagers on certified systems that are regulated by the government. In the United Kingdom, the sports betting market is worth £14 million ($18 million USD). So, it isn’t too outrageous to think that American sports betting could be worth even more. There are some huge opportunities available for gaming operators in the American online sports betting market. GVC and MGM are beating the competition to the punch, so other firms will have to step forward quickly if they want to get a piece of the pie.